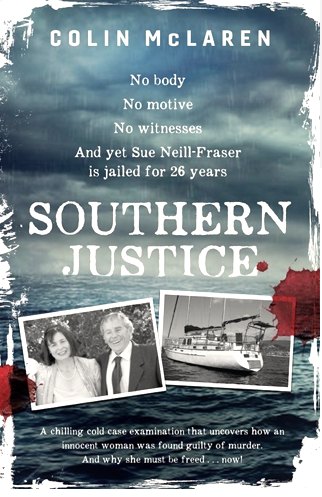 Sue Neill-Fraser author Colin McLaren to be silenced? Why have prosecutors in the Office of the Tasmanian DPP insisted on referring to Colin McLaren, investigative author / documentary filmmaker working on the Sue Neill-Fraser case, as ‘an unlicenced private investigator’ – a criminal offence? Is he being intimidated to silence him? On March 9, 2018 at a related hearing involving Stephen Gleeson, prosecutor Jack Shapiro (the DPP’s junior but seemingly sharper and more eloquent than his boss) first referred to McLaren as ‘an unregistered private detective’ while prosecuting Gleeson who was charged with perverting justice. McLaren had visited Gleeson in jail, introducing himself to prison authorities as a writer (by letter) and in court, Gleeson referred to McLaren as having identified himself as an “investigative reporter”. The Australian’s investigative journalist and author Hedley Thomas has just won a Walkely Award for his research (The Teacher’s Petpodcasts) that led to the arrest of Chris Dawson for murdering his wife. No policeman charged him with being an unlicenced private investigator; it would be ridiculous and would prompt public outrage. At least on the mainland – and of course among journalists everywhere. Thomas published in The Australian, McLaren published in his book and in Undercurrent. But even Tasmania’s law enforcement machinery would find it difficult to get a conviction against McLaren on such a trumped up charge. Still, the threat is the process, because such a charge would likely wind its grinding way through the system and perhaps distract from Neill-Fraser’s appeal process – as have charges of perverting justice against Stephen Gleeson and solicitor Jeff Thompson (who denies it). This, together with manufacturing the appearance of coordinated attempts at perverting justice, is likely to be the real objective of accusing McLaren – and a touch of intimidation. In short, the Crown’s objective seems to be to protect the conviction against Neill-Fraser at all costs and silence dissenting arguments. Perhaps Tasmania’s DPP planned to lay charges against McLaren (under the Security and Investigations Act 2002, max. penalty $31,800) maybe arresting him when McLaren turned up in Hobart to give evidence on February 5, at the latest hearing into Sue Neill-Fraser seeking leave to appeal her 2010 murder conviction? Is that why the DPP objected so strenuously – but unsuccessfully – against McLaren giving his evidence via video link from Melbourne? Why would the DPP want to start a case (however flimsy) against McLaren? But taking the DPP’s accusation about McLaren being an unlicenced investigator at face value …. at the December 11, 2018 directions hearing, Remy van de Weil QC, appearing on behalf of McLaren, advised Justice Brett of McLaren’s serious heart condition and that while McLaren was keen to assist, the undue stress of travelling to and appearing in the Hobart court might be too stressful. McLaren could provide his evidence by video link. Van de Weil QC went on to advise the judge that the Prosecutor and junior, Jack Shapiro, were wrongly referring to McLaren as an unlicenced private investigator, explaining to the court that he worked as an author (6 books, now on 7th) and documentary filmmaker (20 projects) and was hired by film producer Eve Ash, in the role of writer/author and consultant to her production. McLaren’s solicitor Tony Hargreaves complained to the Tasmanian DPP of the persistent characterisation of his client as an “unlicenced private investigator” and stated McLaren had never in his life worked as an unlicenced private investigator. At the Directions hearing Van de Weil QC made the judge aware of this unwelcome undercurrent, and read out the response by the DPP who stated McLaren was required to hold a licence pursuant to the provisions of the Security and Investigations Act 2002, and that McLaren had never been licenced. Correct: McLaren is not a licenced private investigator because he is a writer. “Investigative journalists hold authorities to account,” McLaren likes to point out. Since leaving the police he has, like Joseph Wambaugh the famed author, ex detective in USA, applied his skill to his writing. McLaren’s first book, Infiltration, is the true story of his efforts as a suit and tie detective and the undercover agent who infiltrated the Mafia. McLaren followed this up with On the Run, a novel that details the exploits of Cole Goodwin, McLaren’s real-life Mafia alias, which has been adapted to a screenplay. McLaren’s third book, Sunflower, is a historical work graphically depicting the real life experiences of his own grandfather, one of Australia’s longest-serving foot soldiers from the First World War. 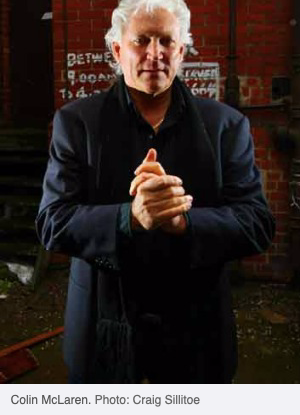 McLaren co-wrote the fourth Underbelly book with Andrew Rule and John Silvester. And then in 2013, he published JFK: The Smoking Gun, unravelling all the evidence. ALL the evidence. Neill-Fraser was convicted in 2010 of murdering her partner Bob Chappell and has been incarcerated since her arrest on August 20, 2009. Her conviction remains hotly disputed. * NOTE: our review of McLaren’s new book, Southern Justice, will be published on January 29, 2019. 13 Responses to Sue Neill-Fraser author Colin McLaren to be silenced? I honestly don’t think you know what you are talking about…. Oh but MM you’d be so much braver and stronger if you were in her shoes right now wouldn’t u…. And doesn’t want to talk hey? You’ll be eating humble pie in a week or two. I think that if you want your push for an Independent Review to succeed you will need to put together something far more substantial than what CLA did the other day and what Mr Robert Richter did in May 2017. I would suggest that you consider my input above as being of some use. I would also suggest that you seek as much new input from technically/scientifically orientated people who might recommend some experiments on some issues. For example: how much liquid based DNA can be transferred via a shoe under a variety of conditions. If it turns out that the amount is substantially less than what was taken from the deck swab then you will be better armed with hard scientific data to support the claim that the DNA transfer was highly likely to be primary deposit. But I wouldn’t rely too much on a scientific opinion of an expert who isn’t armed with experimental data. Nothing can beat hard scientific data. Unless someone has the good sense to arrest Ms Vass for accessory to murder that girl has no incentive to tell her story. She is clearly only concerned about herself so throw her in the deep-end and watch her spill quick-smart to get herself off the hook. However, she can’t be arrested on DNA evidence alone. If one were so inclined, they might view McLaren and Ash’s investigation as “assisting the police” in this regard since they were able to get Ms Vass’s confession, first by phone and then in person. I think it’s safe to conclude nobody is so inclined. I can believe the other hair found on the jacket could have been a result of secondary transference since the jacket was found in a public place and tossed in the boot of a car etc. I can also believe the other fingerprint found inside the glove could have been a result of secondary transference since there’s no saying where the glove came from before it arrived at the boat. But the boat is not a public place nor an object that can be easily passed around. The fact they’re claiming secondary transference of DNA has occurred on the boat indicates nobody was wearing their plastic booties or even half conscious of protecting crime scene evidence from contamination. They are admitting to crime scene mismanagement which I do believe is grounds for retrial. I was a cruisng ‘yachtie’ for about 15 years in my steel 45 ft ketch and travelled thousands of sea miles around the south east asia area including Japan. Winches can be used in a closed loop! In a Closed Loop Winching set-up, both ends of the rope are tied to the load such that the rope forms a loop. The rope needs to be taut. Then it becomes a very simple and effective way for one person to winch out a heavy load from below the deck irrespective of whether the winch is self tailing or not. It only depends on the power ratio of the winch. The claim is that the winch on Four Winds has a power ratio of 27:1. That means that it would be physically easy to use that winch in a closed loop set-up to pull 65 Kg body onto the deck. Does the state of the ropes on the yacht indicate that a closed loop winching may have been used? Evidence is that one rope was found hanging through a hatch and another rope going from the winch to the saloon. This does suggest the possibility that two ends of the rope may have been tied together to the body. This is something worth pursuing. The prosecution speculated without evidence about winching the body; no evidence was provided so any discussion about whether it was a closed loop or whether it is possible is entirely beside the point. Neill-Fraser has been put in the situation where she must prove her innocence; this is an atrocious state of affairs. That which can be stated without evidence can be dismissed without evidence, as the late Christopher Hitchens famously said. At least Ronald and Robyn have been offered a plausible alternative to their views. In other words, one can’t claim that Sue couldn’t have done it by herself. I am not sure whether the prosecution intended or needed to prove beyond reasonable doubt how Bob was killed or how his body was removed from the yacht. I think that you are wanting a proof beyond resonable doubt of how he was killed and how his body was removed. If that is so then go for it and see how far you will get given that there is a way Sue could have done it. No, not ‘how’ but by whom – that’s the proof beyond reasonable doubt that the law requires. Interesting Andrew – According to Barbara Etter’s review of the case there was evidence provided of a winching reconstruction. Bless you dear, for all you do! The world needs more people like Lynne Giddings, the SNF support crew and you! I pray for you all to keep on keeping on in the midst of this ludicrous battle; that you never lose heart or hope until justice is served. There is no level the Tasmanian justice system will not go too in protecting themselves from being brought to account for not only Sue Fraser’s conviction but the possible precedents the overturning of her conviction, could then lead to other cases where similar conduct has taken place to gain a conviction.Her conviction is based on supposition and poor investigation practices .How many cases in Tasmania has the same practices taken place.